The median home value in Belleville, IL is $112,000 This is higher than the county median home value of $89,100. The national median home value is $185,800. The average price of homes sold in , is $. Approximately 52.81% of Belleville homes are owned, compared to 32.31% rented, while 14.88% are vacant. Belleville real estate listings include condos, townhomes, and single family homes for sale. . Commercial properties are also available. If you see a property Belleville real estate agent to arrange a tour today ! As you step into the entryway of this updated home, you still feel the warmth of the 1945 wood floors. The large living room has an antechamber with lots of light, a kids room, meditation room or office? The Dining room will hold large gatherings with friends and family. Into the updated kitchen with lots of room and counter space to create memories! One bedroom on the main floor with an wonderfully updated modern looking bathroom. Upstairs to the expansive Master Bedroom. Plenty of room and storage in this bedroom, and a great morning coffee drinking or evening relaxing the day away as the sun goes down balcony on the South side. Outback is a low maintenance yard leading to the Expansive detached garage (3 cars with ease) or workshop! Before making an offer on any property, buyer should independently verify all MLS data, which is derived from various sources and not warranted as accurate. Mornings sitting in the sun on the back porch, in the screened area listening to the rain or from the lower level looking out on slow following snow, this is a home to relax and enjoy! Master bedroom, with dual vanity en-suite, is off the main living area. An open living room leads into the dining room with breakfast bar, allowing the cook to be part of the conversation. One other bedroom on the main floor for an office, guest or other family member. When the whole gang is over, down to the walkout basement you go. The big game, birthday parties or just a crazy game night; plenty of room for lots! If it gets too big, open the sliding door and let it spill out to the backyard. Dont forget the lower nap room (bedroom)! Before making an offer on any property, buyer should independently verify all MLS data, which is derived from various sources & not warranted as accurate. SPECTACULAR HOME PROVIDING AN AMAZING LIFESTYLE IS SAID ABOUT THIS IMMACULATELY MAINTAINED 1.5 STORY HOME IN PICTURESQUE SETTING. Your New Home offers 4 bedrms, 5 baths, on 5282 sq ft. Spacious Master bedrm w/sitting area, walk-in closet & lux bath is the perfect oasis. Gleaming hardwd 2 story foyer welcomes you to sunk-in Dining rm & Great rm. Open Concept Bright Gourmet Kitchen w/plenty of cabinetry, center island & Breakfast rm provides grand natural sunlight carried through into the Hearthrm w/firepl & bookshelves. Sunroom with the most amazing views of lake & impeccable landscaped backyard. One of a kind Sport Themed Basement w/Family rm, Exercise rm, Office, Rec rm featuring custom built wood wet bar & Locker rm designed bathroom w/trophy case all ready to entertain. Dual zoned, New Roof 2012 & so much more. Great location minutes to Scott Air Force Base, shopping & entertainment. Pride ownership is shown in this beauty & it will be a pleasure to call it HOME! Call & Tour Today! Nicely rehabbed and ready to go! Affordable home features a Living Room, Separate Dining Room, Kitchen w/Laundry area, 2 bedrooms and full bath all on the main floor. The Upper level Features a Large Master Bedroom. Off street parking from the alley. This would make a Great Starter Home. Call for your appointment today!!!! Buyer to verify all Listing Data including but not limited to sq. ft., measurements, features, lot size, taxes/exemptions, schools and etc. Absolutely adorable home with lots of updates, conveniently located and move-in ready! Charming brick arch invites you into this lovely home perched on the hill. As you enter the front door, you will notice the 10 ceilings accentuated by crown molding, functional pocket door, natural light, fresh neutral paint, new luxury vinyl plank flooring, newer carpeting, blinds throughout, large base trim, and attractive archway with decorative fluted column millwork as you enter living room. Spacious dining room offer abundant natural lighting. As you enter the kitchen, you will be impressed by the 42 cabinets, newer stainless appliances, pantry, and access to the patio and fenced yard perfect for entertaining. New light fixtures throughout. Main floor bedroom with lots of closet space adjoining the main floor bathroom and laundry room. Upstairs, you will find 2 spacious bedrooms, a little loft area and full bath with new bathroom vanity and faucet. Close to downtown shops and restaurants. Nice two bedrooom one bath home with full basement and detached single car garage. This home has had some updates in the past including windows, roof and siding. Home has screened in front porch. Home sold as is. Seller will not bring up to code nor do any repairs. Come take a look at this 3 bedroom 2 bathroom all Brock home! Per Seller: Original hardwood flooring under carpeting in LR/DR/Hall/and 3 bedrooms, Coved Ceilings, fireplaces wood burning with stone surround, ceiling fans in 5 rooms, roof replaced in 2010, large living room window with lots of natural light, attic has Solar Tek shield insulation and storage space, 4 storage sheds with work rooms, storm shelter 12 x 12 , large fenced yard, corner lot, close to public transportation, has passed St Clair Co occupancy inspection. Great neighborhood with sought after schools. Take a look and find how this home can be your next. Conveniently located and all on one level. Check out this comfortable home in a quiet neighborhood. This two bedroom home has a great open floor plan and is move-in ready. The home has passed city of Belleville occupancy. Laundry/utility room has plenty of space along with the attached garage. You will enjoy relaxing on the 6 x 14 covered front porch. 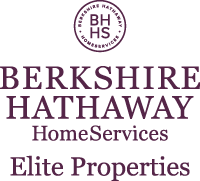 Seller will provide a one year HMS home warranty to the buyer. All information including, square footage, lot size, school district, etc. to be verified by buyer. Beautiful 3 bedroom Belleville home with brick front, covered front porch, and tidy landscaping! Step inside to the entry foyer to find the formal dining room on your left, and office on your right. Straight ahead you will find the lovely family room featuring gorgeous hardwood floors, bay window offering great natural light, & gas fireplace. The family room leads to the chefs kitchen which boasts a large butterfly island, granite counters, pantry, dishwasher, microwave, range/oven, refrigerator, and sliding glass doors leading to the wood deck overlooking the back yard. Also on the main level find the 1/2 bathroom & laundry room. Step upstairs to the luxurious master bedroom suite featuring vaulted ceiling, large walk in closet, & attached master bathroom w/ dual vanity, linen closet, garden tub & separate shower. Also on the upper level find generously sized bedrooms 2 & 3, and the full hall bathroom. Other items of note include the full unfinished basement & attached 2 car garage. WOW! Take a look at this STUNNER! This seller really went over the top and you get all new! Featuring 3 bedrooms, 3 bathrooms, approx 2160 sq feet with 2 car garage on a nice flat lot, this one is THE ONE! This home boasts all new agreeable gray paint, new flooring throughout, updated light fixtures, brand new kitchen with all appliances and the list goes on and on! Upon entry you are greeted with barnwood laminate flooring throughout the main level, creating a nice flowing concept to this home. The front office/formal living room is a fantastic size for those intimate gatherings. Proceeding forward through the home you are greeted with the spectacular kitchen, featuring all stainless appliances, soft close doors and drawers on the white shaker cabinets and oil-bronze pulls. The kitchen opens to the dining and family room area with gas fireplace. Upstairs you will find a HUGE master suite with on-suite bathroom, 2 additional bedrooms and bathroom plus bonus loft for that flex room. Breathtaking view of the St Louis skyline from this 2 story home! As you enter you will find the large living room area accented by the wood burning fireplace and the stairway leading upstairs. From there it takes you into a large kitchen and dining room combo where it is brightened by a glass sliding door that leads out to the deck for enjoying the private backyard and that amazing view. This home offers three bedrooms with the master bedroom located on the main floor which includes its own full bathroom. There are two bedrooms upstairs with an additional full bathroom. The lower level is unfinished at this time but has the potential for more living space. This home has been renovated top to bottom. Its been freshly painted with new flooring, furnace, water heater, updated bathrooms, plumbing & electrical. More improvements throughout have been completed to make this home move in ready. This Executive home welcomes all with its commanding Curb appeal. Once inside the leaded Glass Front door, you are greeted with 9 ceilings, formal dinning room with tray ceiling and gleaming hardwood floors. Just ahead is the expansive Family room with beautiful Fire place centerpiece and tons of natural light. You will fall in love with the large gourmet Kitchen with Granite Counter tops and updated appliances. Enjoy those nice days on your newly stained elevated deck overlooking a vast back yard. Upstairs offers a fully equipped Master suite with french doors and Vaulted Ceiling. The full basement is ready for your touch to make it your own private oasis. Home warranty already in place and ready for you to call home. Location Location Location! This 2 bedroom home is close to everything and has potential to be so many things! Freshly painted interior, nice hardwood floors, spacious living room and unfinished basement for storage or future expansion. Large lot, plenty of parking. Zoned C-2 Heavy Commercial but has been used most recently as residential rental. Dont be fooled by the front of this home! This 5 bedroom, 3 full bath home with over 2700 square feet has plenty of room to spread out. The vaulted ceilings and open design of the living room, dining area, and eat in kitchen make entertaining a breeze. You will also find on the main floor the master suite with spacious attached bath featuring double sinks, separate shower and tub, and private stool, the main guest bath, 2 bedrooms, and main floor laundry conveniently located off of the kitchen and garage. Head to the lower level to find even more square feet with 2 additional bedrooms, a full bath, 2 nice sized bonus rooms, and a family room with ceramic tile. Outside theres a nice sized yard with a patio and inviting covered porch! Conveniently located to shopping, interstate access, and SAFB, this home is ready and waiting for you to call it home! Do not miss this recently renovated 2 story with, 2 master suites, 1 on main floor with en suite master bath with walk in tub, perfect for anyone with mobility restrictions. Upper level master & 2 Additional BRs each have 2 or 3 closets. Hall bath with whirlpool tub. Elegant stair case for wedding or prom photos.Kitchen with new stainless appliances and wood look laminate floor. 3 baths updated. Large screened porch for relaxation.Recent renovations include roof, siding, gutters, A/C, garage door & opener, cedar deck.Interior lighting, paint, kitchen cabinets, counter tops, wood look laminate flooring, baths - vanities, whirlpool tub,(Up) Walk in Tub (main),vinyl flooring in all baths & laundry which has been relocated to main floor, all original oak hard wood floors have been refinished, main plumbing & fixtures, cedar deck on rear, all in the last 5 years. Large fenced rear yard overlooks private woods Fireplaces are decorative only. Agent Interest. Pure Perfection in this gorgeous home. Great curb appeal with the Manicured Lawn and landscaping. Welcoming covered front porch beckons you to come in. Once inside your eyes will be delighted with the magnificent sights you will find here. The hardwood Foyer open to a formal dining room that is currently being used as a conversation area has hardwoods and windows that let the natural light fill the room. On into the large Great Room with cathedral ceiling and a double set of French doors with transoms on each side of the fireplace. The fantastic Kitchen with a 6 island, an abundance of cabinets, all appliances, pantry and hardwood floors. The large breakfast room also has a double set of French doors with transom that open to the side yard and the backyard. Master Suite and two bedrooms and bath round up the main level. Downstairs is a finished basement with built-in wet bar, family room with Fireplace, bath and much more. Geo-thermal system for even temperatures year round. This beautiful home beckons you to come in and get comfortable. Custom one owner home gracefully sits on a 1.5 acre wooded lot. You wont lack for space in this 4900 sq ft, 5+ bedroom home. So much everyday living right here in the bright, open updated kitchen w/center island, desk area which opens to the breakfast area, deck, wet bar & family rm w/gas fireplace. There is also a laundry rm & mud rm off the kitchen adjacent to the garage entry. Throw in a formal living & dining rm on the main level for even more space. On the second level you find a spacious master suite, walk in closet, private master bath w/seperate vanity area. 4 additional bedrooms plus a great bonus rm which could be a 6th bedroom. There is even more, a finished lower level has a big family rm w/woodburning fireplace, wet bar, bathroom, craft room and lots of storage. The home has a beautiful wooded setting while still being close to shopping and amenities. Over sized garage has a fireproof safe. Welcome to this terrific neighborhood to be enjoyed by all! Bright & open floor plan w/gleaming hardwood throughout main level & neutral throughout; 2-story entry foyer! Living room flows into dining room with access to kitchen. Appliances (13) stay with kitchen that features a work space plus snack bar and breakfast area opening to fenced backyard. Great space to entertain! Upper level includes the master suite with full, newly updated bath plus additional full bath in hall. Lots of storage space. Lower level provides additional entertainment space with bar area, surround sound and even more storage space! Oversized patio with brick pavers and hot tub for your enjoyment. Green space available for pets & yard games. All located in cul-de-sac w/access to community pool & clubhouse. New in 18 sump pump, water heater; 12 roof; HVAC contracted with preventive service agreement. Conveniently located near bike trail, Metrolink, schools & Scott AFB. Occupancy completed and move in ready! This exceptionally, well maintained home is located in the exclusive estate lots of The Orchards. Youll appreciate this immaculate, move-in ready home. Situated on an acre, with a tree lined backyard and surrounded with lush landscaping. A fabulous foyer is bright & open to second floor. The main level features a formal living & dining room. Family room includes a fireplace with built ins and a wet bar. The updated kitchen offers a lg island, granite tops & plenty of cabinets. Walkout to your maintenance-free deck overlooking the huge yard. Upstairs includes 3 lg bedrooms and an awesome master suite. The lower level is finished with all the amenities needed to entertain your many guests. Enjoy the lg wet bar open to a beautiful family room with fireplace and rec area. Theres also a 5th bedroom and a full bath. Walkout to the huge patio perfect for your BBQs. Youre just a short walk away from the club house and pool. Call for your private tour today! Buyer to verify all information.